NATURAL RESOURCES: Grass Valley covers nearly three-quarters of this area and is the main topographic feature of this wilderness. A series of scattered hills, reddish-brown to yellow in appearance and gently rising to elevations from 200 to 600 feet above the desert valley floor, lie across the western portion of the area. Vegetation is typical of a creosote bush scrub community with a scattering of Joshua trees. Wildlife values in the wilderness include raptor foraging in and desert tortoise and Mojave ground squirrel habitat. 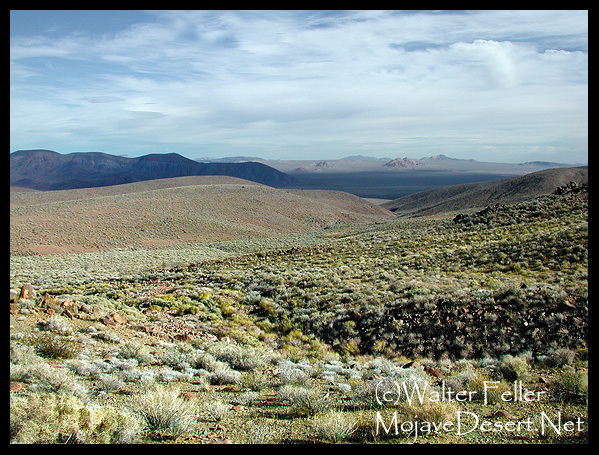 ACCESS: Access to this wilderness is via U.S. Highway 395 immediately north of Red Mountain and along Red Mountain-Trona Road to Steam Well Road (RM1444), or via 395 south of Red Mountain and along Twenty Mule Team Road (EF455), Cuddeback Road (EF473). A vehicle corridor transects this wilderness. Visitors should check road conditions before driving.